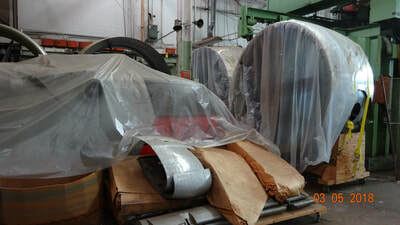 Well over 9500 of the P-39 Airacobras rolled out of the doors of the plant above at Bell Aircraft in Niagara Falls USA. Most people visit Niagara Falls to see the Falls or visit the casinos, but my recent sidetrip to Niagara Falls had none of those things on the agenda. 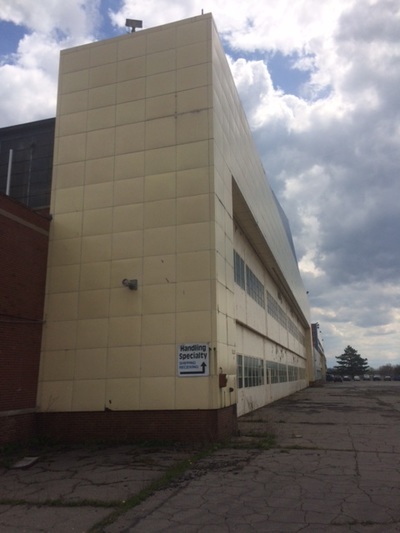 My goal was to explore a little of the area's aerospace history, and high on the list was Bell Aircraft, or more precisely, what remains of Bell Aircraft's (later Bell Aerospace's) legacy in the region. 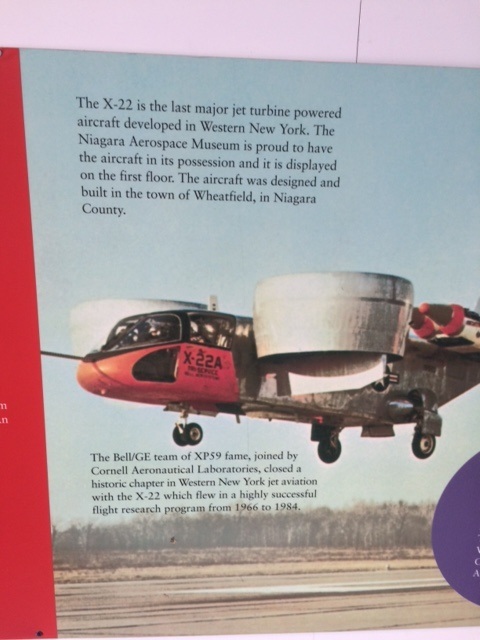 Of course, the logical place to start is at the Niagara Falls International Airport, where you can tour a modest museum in one of the airport concourses. The museum focuses on the area's aerospace contribution through displays of a number of the aircraft manufacturers, including Bell, that once called the city and nearby Buffalo home. 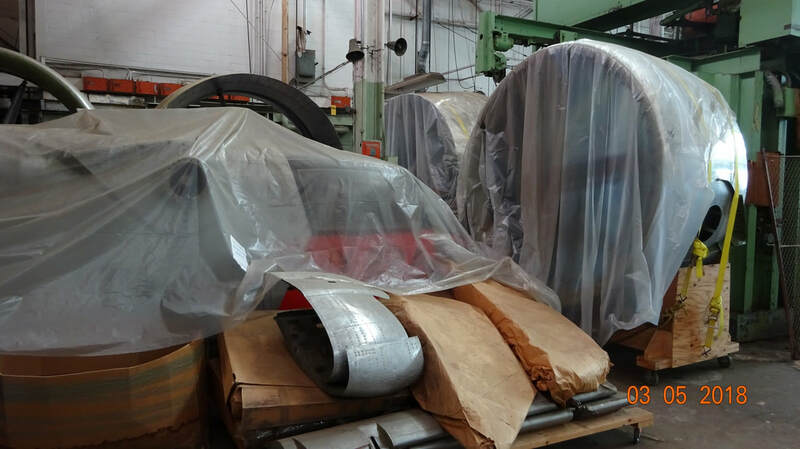 The museum has unfortunately been bumped around from location to location for a number of years and the impression one has when viewing the collection is that the curators remain uncertain if this will be just another temporary home. Nonetheless, the volunteers who staff it are very friendly and the handful of aircraft and artifacts on display make for an interesting stop. 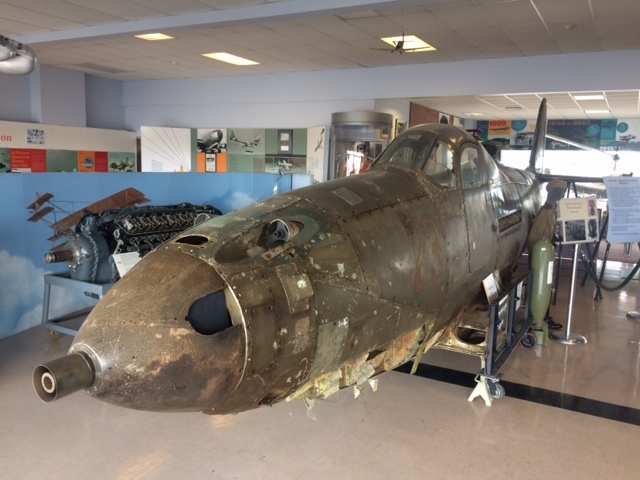 The main attractions on display include the remains of a P-39 recovered from a swamp in Russia, Mr Bell's personal helicopter, a Jenny replica and a control panel from the Apollo space missions also built by Bell. What is truly impressive though about Larry Bell is the scope of his contributions to aerospace- he was a true visionary and after viewing the museum, I was keen to see what remained of his factory just down the road. 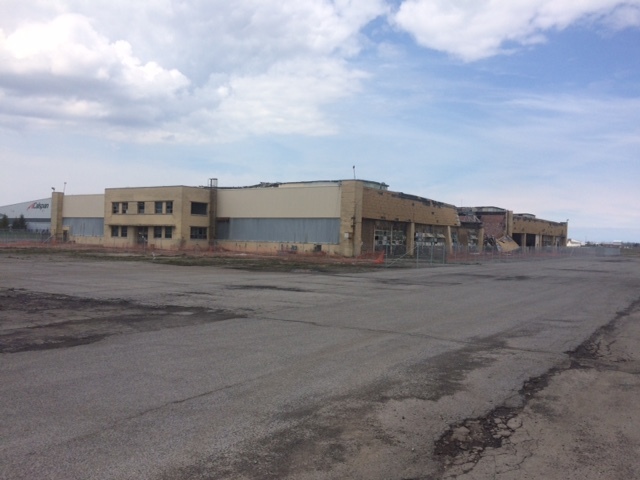 The old Bell Aircraft Wheatfield plant, is just a stone's throw down the road at the corner of the airport. Much of the (600,000 square foot) original factory still remains although sadly, signs of it's slow decay are evident in numerous abandoned portions of the main building and some fairly large ancillary buildings which appear to have been left to crumble despite the fact it is a designated historic site. I couldn't help but think that any of these buildings would have made an ideal site to house a more permanent collection which if done well, could be a major tourist attraction not unlike the Air Force museum in Dayton. 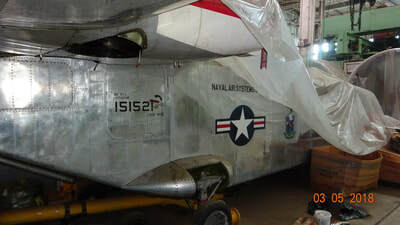 A portion of the building is also used by the museum to warehouse portions of the collection, including the original X-22, a Bell project which pioneered the field of tiltrotor aircraft and whose design closely resembles the modern day Osprey tiltrotor. I was both surprised and disappointed that the curator I met would not agree to share a glimpse of the aircraft which has not been in the public eye for several years- what is the point of preserving history if you don't even want to share it with the people who are most interested in learning about it? I knew they also had a T-33 among other planes tucked away in the overflow hangar but when I enquired, they would not even acknowledge that other aircraft were being held in storage. 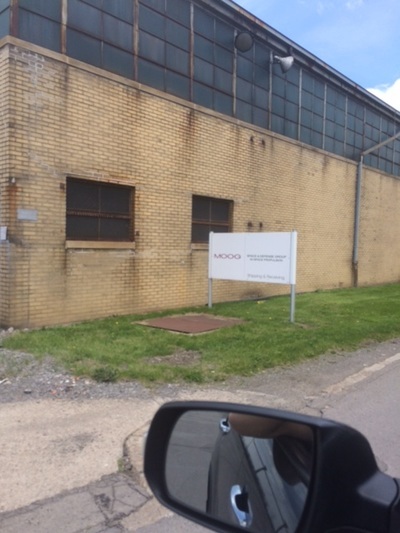 Not to sound like a conspiracy theorist, but I did notice that well known defence systems manufacturer Moog (developer of control systems for the B-2 bomber and F-35) seems to maintain facilities onsite- perhaps they don't like people in close proximity to whatever is being developed there! Moog Inc is located inside the former Bell Liquid rocket operation facility onsite. 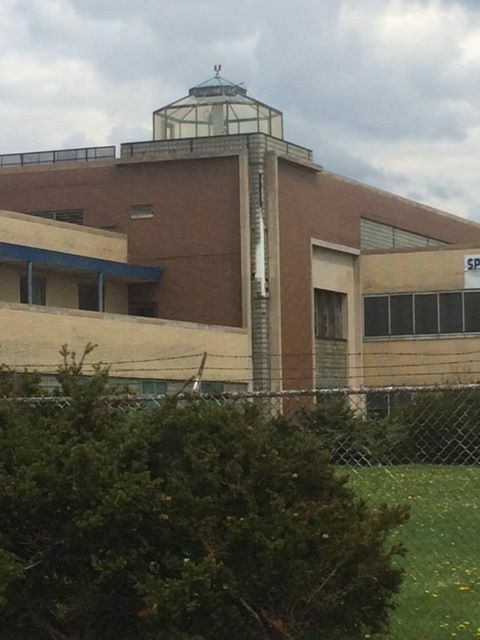 As well, Lockheed Martin occupies about 60,000 square feet of the former Bell Inertial operation. 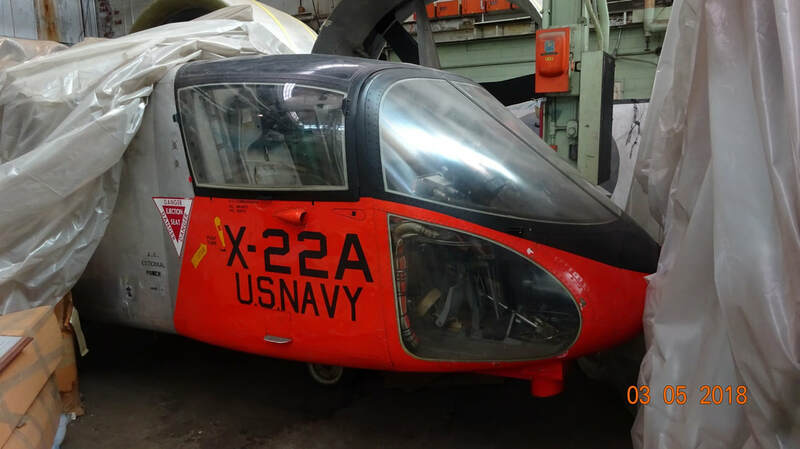 At any rate, further correspondence with one of the museum staff was more successful, and he kindly offered to visit the warehouse and send some photos of the X-22 in storage which I've posted further below. The plant, technically a National Historic Landmark, is largely deserted these days although a welding company occupies the main hangar. 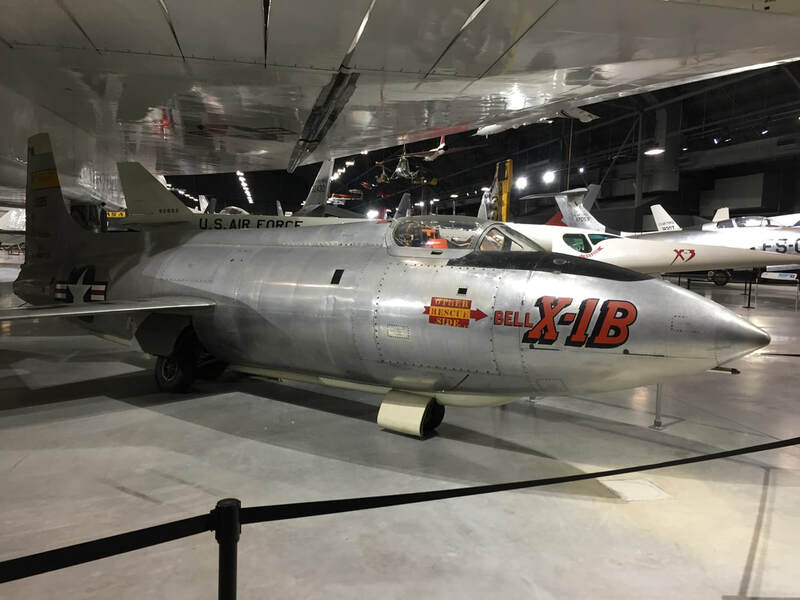 Arguably one of the most significant aircraft of the 20th century, the Bell X-1 on display in the foyer of the Smithsonian. 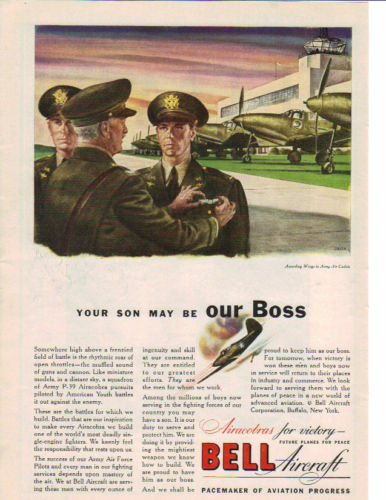 Larry Bell worked for Consolidated Aircraft early in his career, starting as sales manager in 1928, but when they wouldn't let him progress in the company, he decided to form his own. Before the US entered the war, Larry had the opportunity to visit Germany and saw how the Germans were leading the pack in aviation advances and had the opportunity to view an advanced (at the time) German helicopter design. 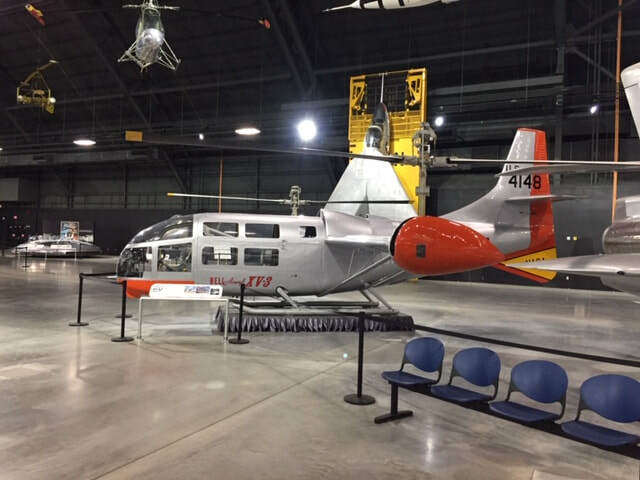 When Larry got his chance, he set up his factory just like the ones he'd seen in Germany and later, would go on to develop the iconic Bell helicopter, presumably inspired by what he'd witnessed in Germany. 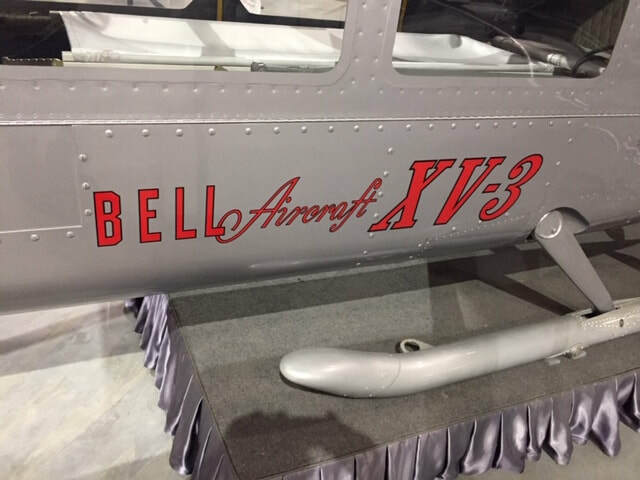 The Bell Model 30 ship 1A was the first helicopter to fly with a semi rigid two bladed rotor system and had a stabilizer that made it easier to fly than the Sikorsky helicopters of the time. 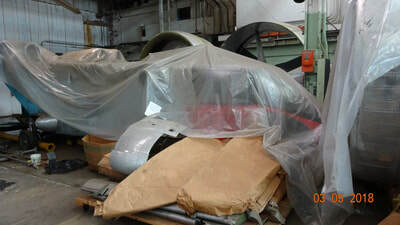 It flew first in December 1942 and a subsequent crash required a rebuild of the tail which is as it appears now at the Steven Udvar Hazy museum. 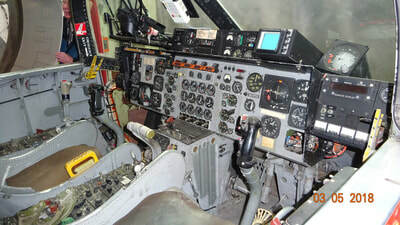 The Bell model 47 was the first helicopter to enter commercial production as the next generation of the Model 30 and an udated version saw significant service in the Korean war. 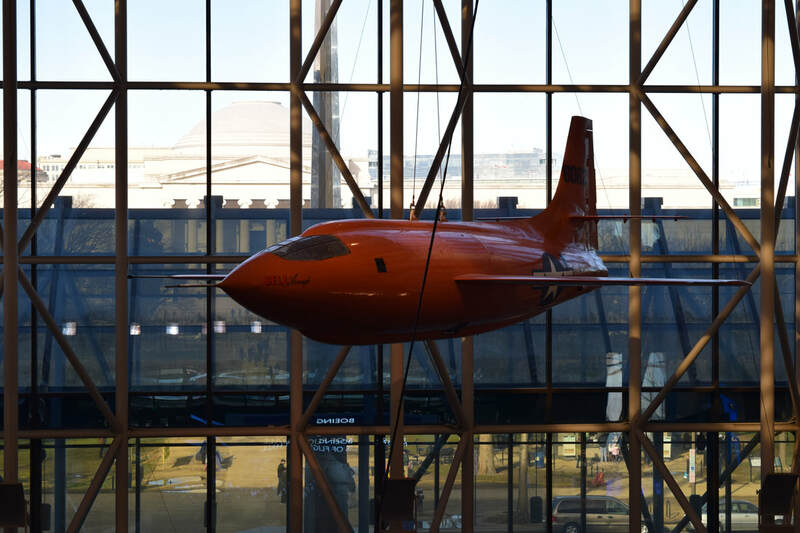 This particular model saw it's last flight in December 2004 an outstanding 57 years after it's first flight, for which it holds the world's record. 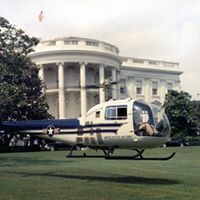 President Eisenhower became the first president in 1957 to fly in a helicopter in this Model 13J Bell when it was decided that the president needed a quick and efficient way of whisking him out of harm's way in the event of a Russian nuclear attack. Essentially a stretch version of the Model 30. 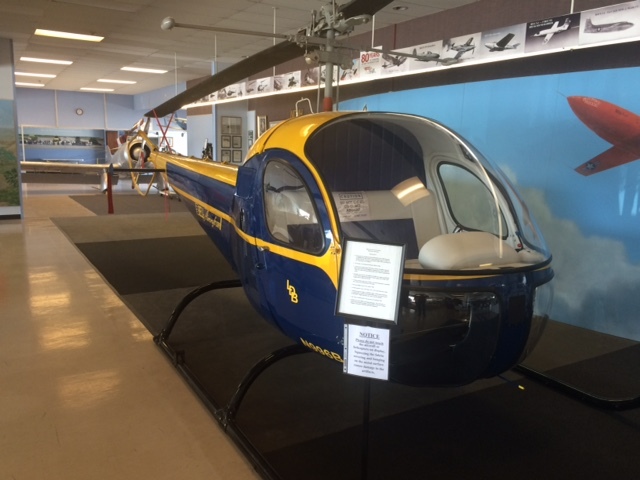 This helicopter would go on the become the ubiquitous Bell model 47, probably the most popular helicopter of all time. The same helicopter taking off from the most famous front lawn..
Bell didn't stop at helicopters either- they were the pre-eminent investigators of vectored flight long before anyone thought it was possible, and built a variety of experimental aircraft which would provide much of the groundwork research to pave the way for aircraft such as today's modern F-35. 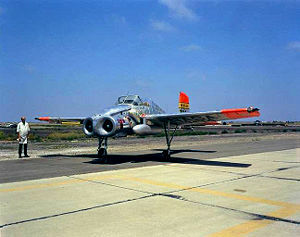 The X-14 was one such aircraft and it flew a very successful test program starting in 1957 right up until the 1980's. 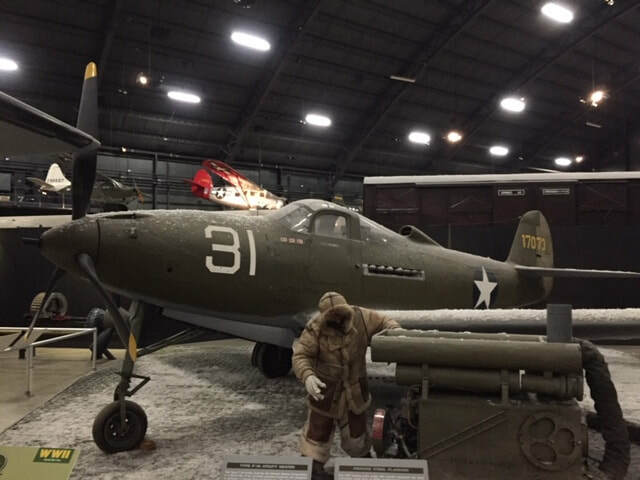 The original test aircraft still exists today in the personal collection of the Ropkey Armor Museum in Indiana. 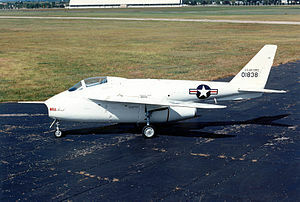 The XV-3 above was a joint project with the Airforce and was the first tilt rotor to successfully transition from vetical flight to horizontal and back in December 1958. 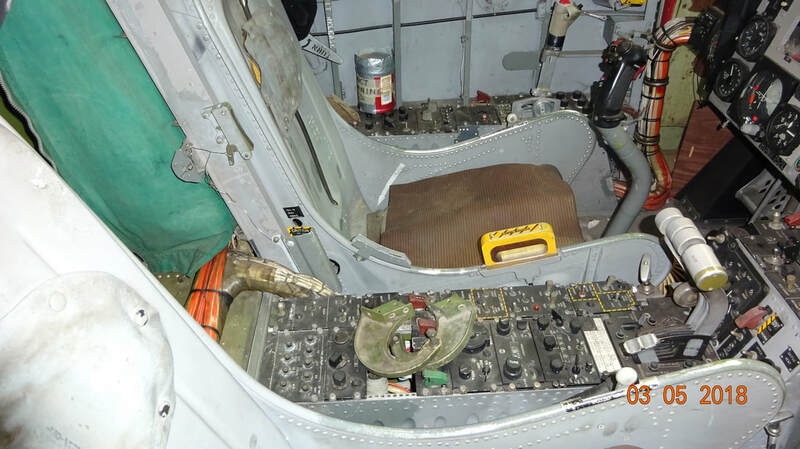 Two were built and this is the second, the first having been written off during flight tests early in the program. ​I took advantage of the local welding company leaving the main door open to snap this shot of what was once the main production line of the P-39..
A shot of the same space as the one above with P-39's being assembled. P-39's were sold mostly to Russia who used them to great effect. 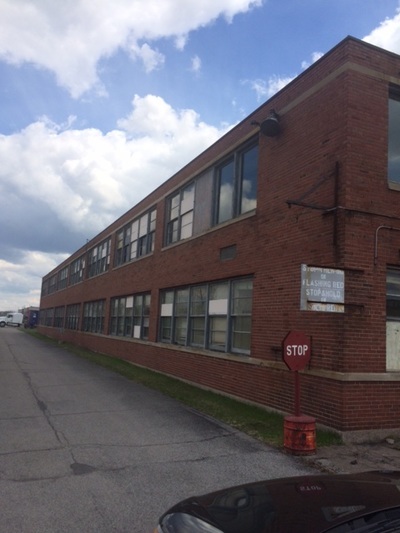 What was the original observation/control tower on one corner of the building. 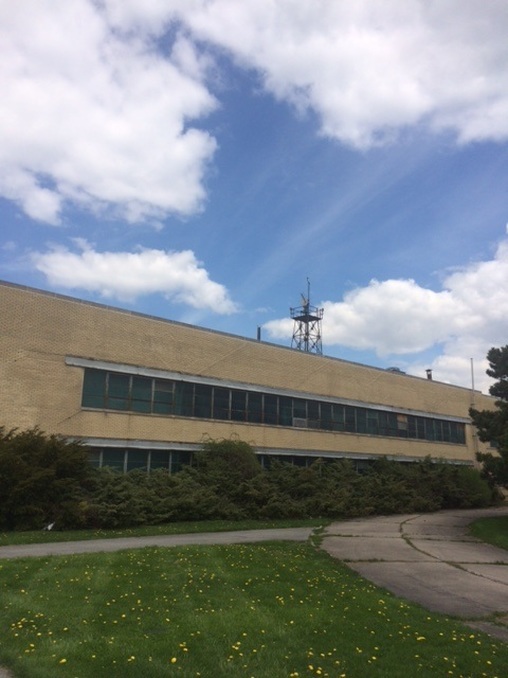 Same control tower in the 1940's while still in use. A funky antenna on top of a deserted office building-what appears to be a 1930's era light tower. Anyone know? Ray Smith shared these photos from an album of an aviation day held at Wright Field shortly after the war where the latest experimental Bell jet fighter, the XP-83 was on display probably sometime in 1945. 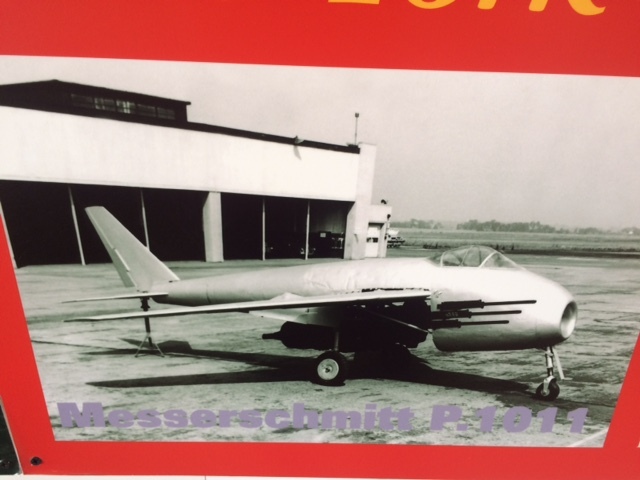 This was the second prototype and was tested here for gunnery trials. The engines apparently were designed too close to each other and firetrucks had to normally spray water on the tail section to keep the jet blast from overheating the skin. 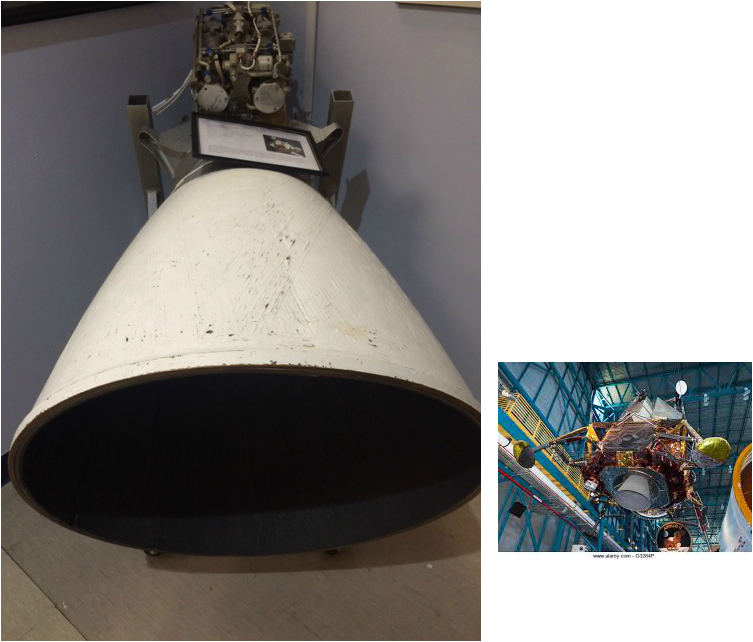 Bell Aerospace developed this ascent propulsion engine for the lunar excursion module (LEM) which was the only system on the Saturn 5 rocket that did not have a back-up system- if it failed, the astronauts had no way of getting off the moon. It never failed to return them to the mother ship. 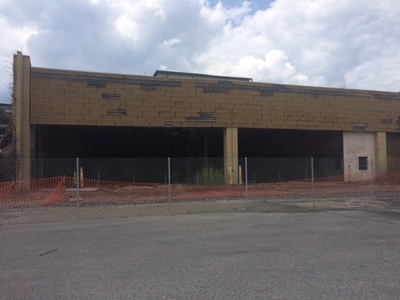 Trees slowly encroaching on the main entrance doors to Bell's offices. It was used by Midland Machinery for a period of time. 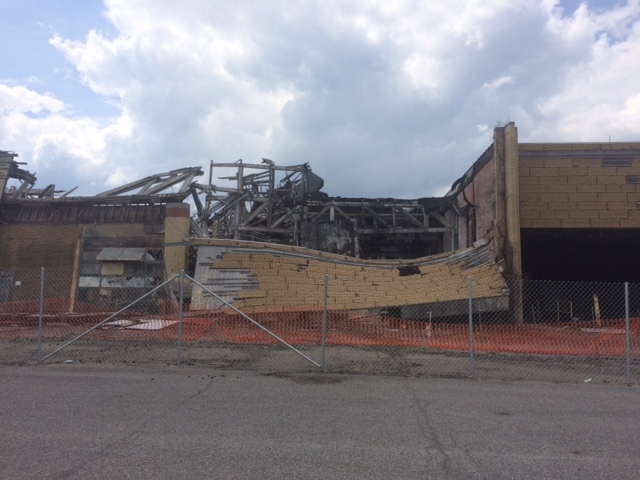 It's too bad no one has seen the potential value to the local economy to salvage one or more of these historic buildings and use the huge amount of available artifacts to tell the Bell story.